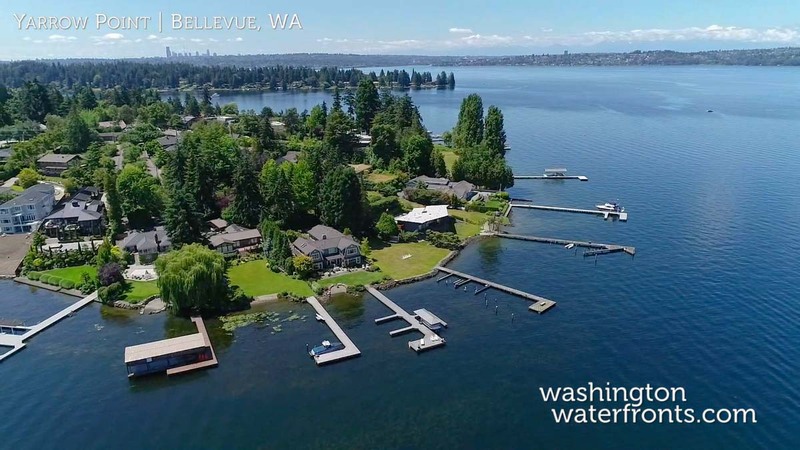 Lake Washington is much larger than many people realize. As the biggest lake in the Seattle area and the second largest natural lake in the state, it touches the shores of many unique and scenic communities, like Yarrow Point. The town of Yarrow Point is bordered on three sides by its eastern shoreline on a 231-acre peninsula that’s offers some of the most valuable, exclusive property in the region. One of the most affluent towns in the state, ranked at No. 5 out of 522 areas, its proximity to Eastside and Seattle business centers, as well as some of the most popular attractions around the Puget Sound, make it especially desirable. Despite being so close to the hustle and bustle of the city, it was designed to provide a respite from the modern world and still provides a peaceful retreat today. A quarter of its homes enjoy water access or a waterfront location, making it ideal for those searching for Yarrow Point waterfront real estate. When you own Yarrow Point waterfront real estate you’ll be able to take advantage of some of the best that luxurious waterside living has to offer, with many residences offering features that can’t be found anywhere else. Here you can lose yourself in the tranquility, with expansive views that include the lake, the Olympic Mountains and spectacular sunsets, or head out onto the water to enjoy paddling a kayak along the pristine shoreline, enjoy the thrill for jet-skiing, go sailing, boating, fishing and more. Yarrow Point waterfront real estate brings the best of both worlds, with exciting city amenities just minutes away and a place to come home to where you can truly relax and enjoy all you’ve worked so hard for. There are some rare treasures to be discovered here, including incredibly spacious properties with thousands of square feet of waterfront living and lavish details like a, private beach, a large dock, outdoor fireplaces and even a Mediterranean-style pool for lounging around and relishing the good life. Take advantage of our industry-leading tools to make your property search as easy as possible and be sure to register for a FREE account so that you can receive email alerts whenever new Yarrow Point real estate for sale hits the market. If you’re seeking to sell your Yarrow Point property, contact our Waterfront Specialists directly for a comprehensive listing analysis and to learn more about the cutting-edge marketing strategies we’ll use to sell your home quickly for top dollar!